On May 1, the International Academy of Digital Arts and Sciences announced the winners of the 16th annual Webby Awards -the leading international award honoring excellence on the Internet. SESAME STREET received two awards for sesamestreet.org/muppets: a Webby Award for Best Youth Website and a People’s Voice Award for Best Home/Welcome Page Website. RELIGION & ETHICS NEWSWEEKLY received an award for pbs.org/wnet/religionandethics/: a People’s Voice Award for Best Religion and Spirituality Website. Winners will receive their awards May 21 at an awards ceremony at the Hammerstein Ballroom in New York City. The ceremony will be hosted by comedian/writer/actor Patton Oswalt and will be streamed live at webbyawards.com starting at 7:30 p.m. ET. 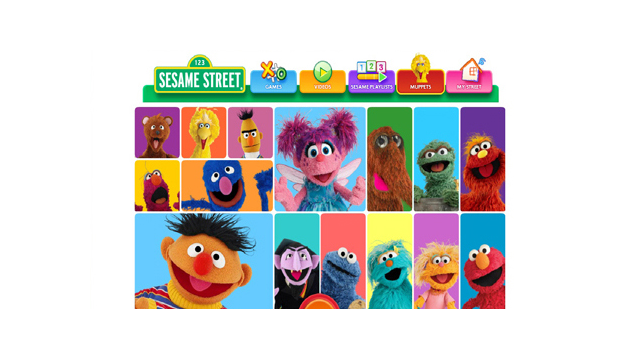 PBS congratulates SESAME STREET and RELIGION & ETHICS NEWSWEEKLY for its Webby Awards. A full list of winners is available at webbys.com.